There’s been a lot of excitement for the upcoming Windows 10 recently, but I’m more wary of how the current ecosystem works for me and the other devices that I use. I’ve been exploring how to make Windows more than just my gaming system and for now I’m not so convinced that I should invest in Windows. The Surface looks quite pretty from the outside, and I’ve enjoyed using a Windows Phone for several months before I was forced to abandon ship due to the lack of apps. Some days I think about trying out a Windows PC/tablet so for a while I’ve been testing the waters (although I’m not ready for an expensive Surface, unless it comes for free! Keeping my eye out for more budget-friendly alternatives). How will Windows fit into my current lifestyle? I have a company-loaned MacBook Air along with my own personal MBA so having two Macs didn’t make much sense. 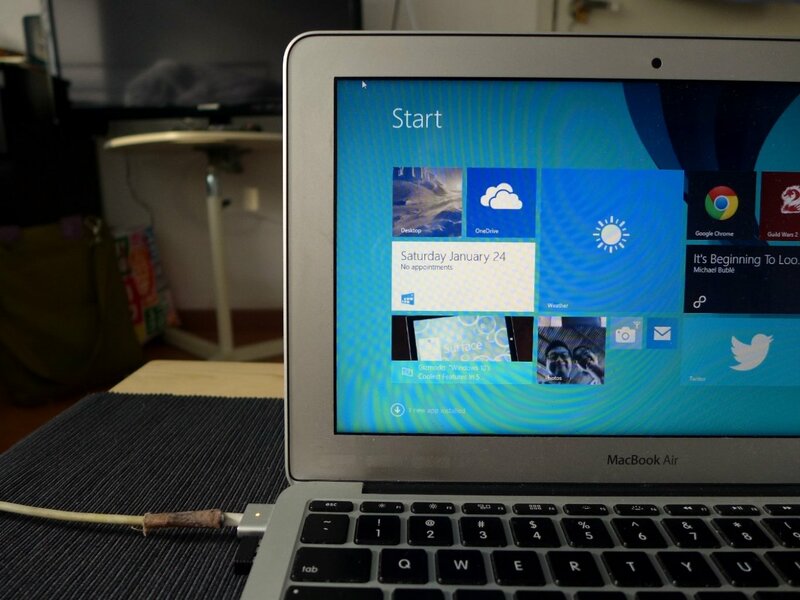 :P So I decided to Bootcamp Windows 8 on my personal Mac. Tweaked it a bit to have reverse (“natural”) scrolling like on Mac. If I can find alternatives for my design apps that isn’t Adobe, then I will remove my Mac partition to make more space for Windows. :P Installing Windows was also something that Guild Wars 2 has driven me to do (mainly because the Mac port of the game is too inferior to the Windows version that I can only play in low settings on Mac, whereas I could play max settings on Windows). Windows 8/8.1 is still one of the worst OS experiences I’ve had primarily because the Desktop/Touch experience on Windows 8 is so jarring and frustrating. They forced touch design so much that the desktop+mouse experience has been severely affected, and in a very bad way (my most hated are the hidden, corner-triggered menus and the sudden desktop-to-Metro switching!). It’s like they forgot that most people use a mouse instead of touch and keyboard shortcuts. 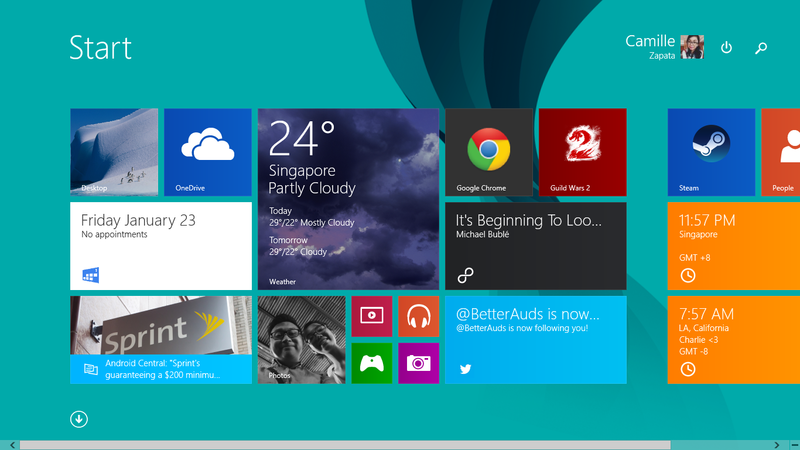 Unfortunately for me, I am using Windows 8 on a keyboard-only laptop, so I feel the terrible mouse experience keenly. Despite my anger and frustrations, I still try to explore the Windows Store part of the ecosystem (Windows apps that run on RT, if I understood it correctly) because it is new and I am curious. I also want to understand this direction Windows is going, since people will be stuck with this company for at least another decade. I’ve been trying to integrate Windows 8 with my daily workflow/use, particularly with Android (which has been my mobile OS for the past couple of months) so I’m making a list of the apps and stuff that I use on both platforms, with a brief overview of my other daily devices. I work as a designer (primarily app and web design) and for my design stuff I use Mac OSX and bring around an 11″ MacBook Air for the size and weight. It’s been a while since I graduated from Adobe and their overly expensive apps (even on subscription) and moved on to great (sometimes even better) Mac alternatives: Sketch 3, which is a must-have for any app designer, Affinity Designer for vector files, and Pixelmator for handling PSDs. 90% of my time is on Sketch because it’s what works for me, both for app and web design, so the other apps are mostly for collaborating with other people. All these apps though are only available on Mac, which renders my Windows use for personal, non-design activities. Which I have a lot of, so it’s no biggie. Gaming and films/dramas/movies are hobbies of mine. I play some Steam games such as Don’t Starve Together (only on Windows), which is one of those things that I can enjoy with my boyfriend while in a long distance relationship (and works well with our busy schedules, since it’s a low-investment-maximum-fun type of game). :P I used to play Guild Wars 2 a lot, but have been too busy to play lately. It’s still really important for me, and probably the only MMORPG I will be playing in the next few years. Windows for gaming is pretty much a given. 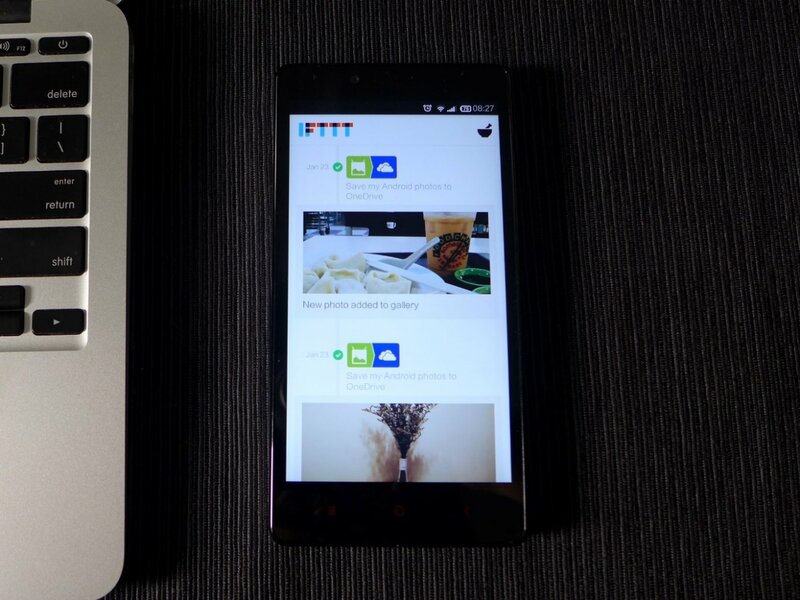 For my daily mobile phone use, I’m currently on Android (4.4) with a humble Xiaomi Redmi Note. It’s the device that I use on the go so for this reason I wanted to be able to sync my data with my laptop. Both my phone and Windows 8 laptop are going to be for personal use so I just want to be able to maintain a smooth workflow between both devices. An important thing to note: I use Google for my emails, documents, and calendar. I’m not an Office power user (since my job doesn’t really require it) so for all documents and spreadsheets, I just use Google Docs. 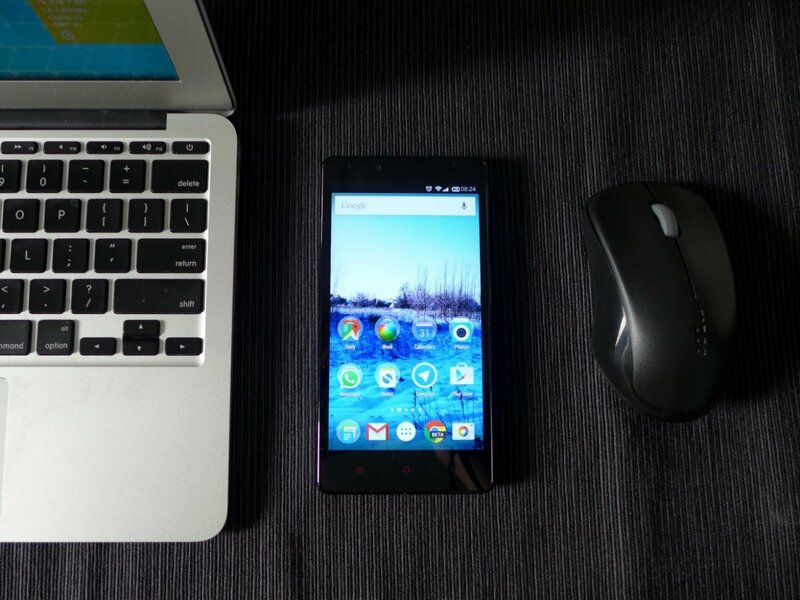 Google works for me because it’s cross-platform and can work in most operating systems. It just seamlessly syncs everything. I don’t know why Windows and Google have this awkward relationship (Google apps are extremely limited on the Windows Store, I might as well just stick to the Chrome browser — except it’s only a desktop app on Windows, not for the tablet. Cue jarring Desktop/Touch switching experience); I just had to work around it (to be explained later). My multi-platform needs: while this post focuses on file sharing and data sharing between Android and Windows, it should be a given that I work on OSX so apps I mention are ultimately accessible on all three platforms. Telegram – for messaging. Clean, allows for multiple-device sign-ins, looks pretty, free. Simplenote – for note taking. Maybe most underrated note-taking app, but definitely my favorite. Chrome – web browser. Syncs all my bookmarks, sites. Very easy to refer back to any site that I visited on the desktop or on a different device. Pulse – news/blogs. Not the best designed, but convenient because I can have an account to sync the list of sites I already follow. 8tracks – music/mixes. I’ve always preferred mixes, so I prefer 8tracks over Spotify. AirDroid – phone management via browser. Best thing ever. I use IFTTT to sync photos from my Android phone to OneDrive. I don’t dare upload it to Google+’s photo backup service because I don’t trust the future of Google+. I don’t sync it with Google Drive either because I use it exclusively for work. I don’t sync with Dropbox because nobody can live on 2GB these days. OneDrive has 30gb free space, which is more than enough for backing up my Android photos (and files). Basically, when a photo or screenshot is added to the Gallery, this triggers the recipe and it gets uploaded. It’s not as fast as photos syncing from iPhoto on iOS to OSX, but IFTTT manages to do the job and that’s good enough for me. 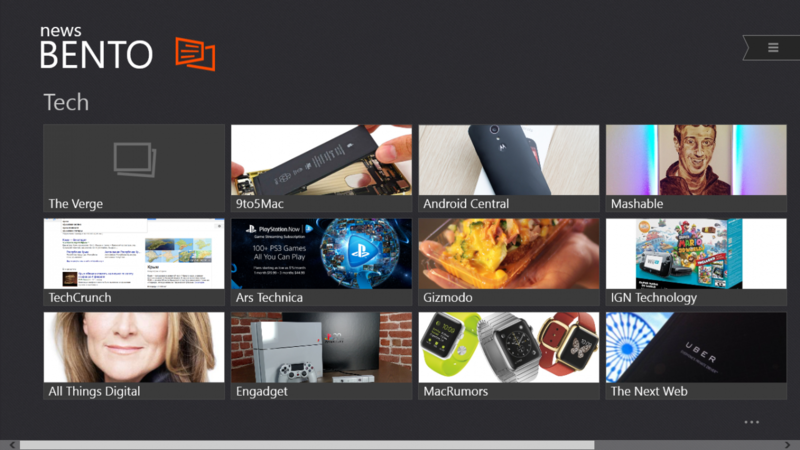 My biggest motivation for being able to sync my photos and data to Windows 8 is actually for blogging. :P I’m trying to make this a regular thing, so the productivity apps are more of a convenience and an experiment, rather than a need. Photos and text (or notes) are more important for me. I’m used to a Mac and OS X, so I wanted a similar experience with getting my photos from my phone to the desktop. I don’t want cables, and I want it to be automatic and easy. 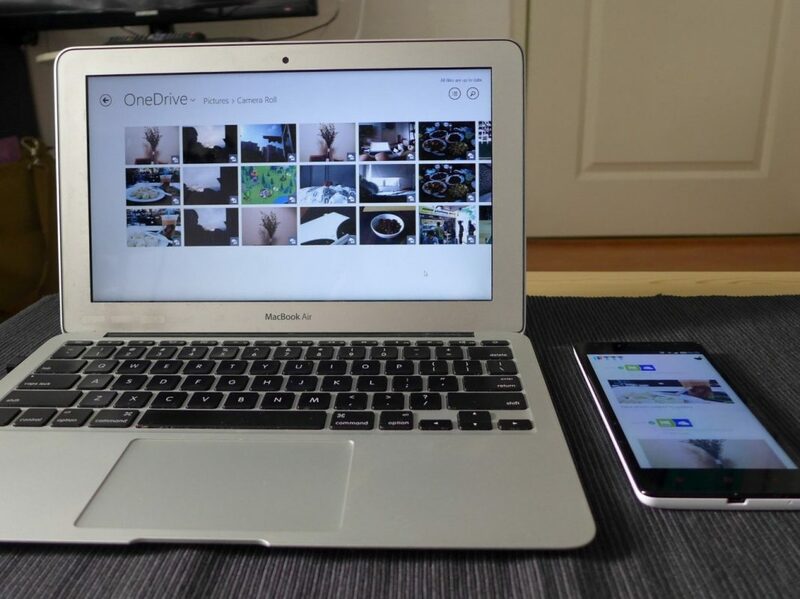 IFTTT does a great job syncing my Gallery photos to OneDrive, even though it is a third-party app. OneDrive on Android has a Gallery back-up feature, but it might mean that deleting photos on my phone will also delete them on OneDrive, which is opposite of what I want to achieve. I want to be able to delete photos freely later on (because my phone has limited space) and be reassured that I have a copy saved on my desktop that will stay on my desktop. IFTTT on Android and OneDrive on desktop was the solution I went with. I use Toshiba FlashAir for my compact camera, and was able to find a third-party app for transferring files from WiFi SD Cards: WiFISD8 on the Windows Store. I only do minor touch-ups when I get to my Windows desktop: re-sizing, auto-fixes, cropping. Most of the image editing would’ve been done on my phone already. :P For some reason, I don’t think Adobe Express from the Windows Store can resize photos! So I ended up downloading Fotor instead. Simplenote doesn’t have a dedicated Windows Store app, but Notation is a very good third-party app that syncs with my Simplenote account. 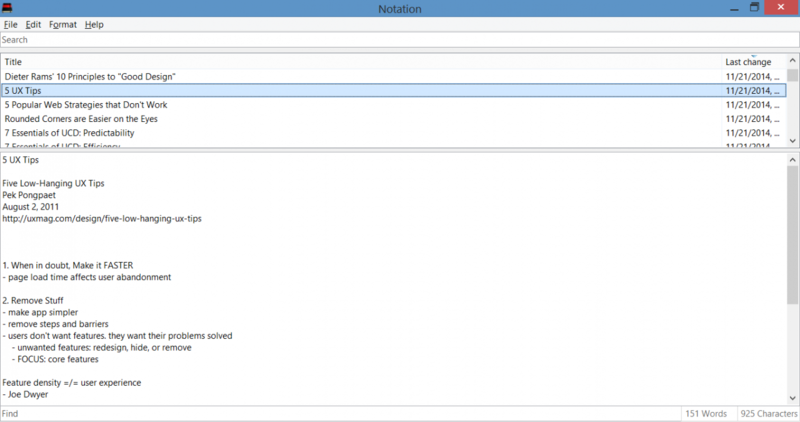 It will be familiar for any Notational Velocity user on the Mac (which I still prefer over the Simplenote Mac app). Lifehacker published an article highlighting all the cool features, so you can check it out if you wanna learn more. I use Simplenote on my phone for everything, so I actually really need this! 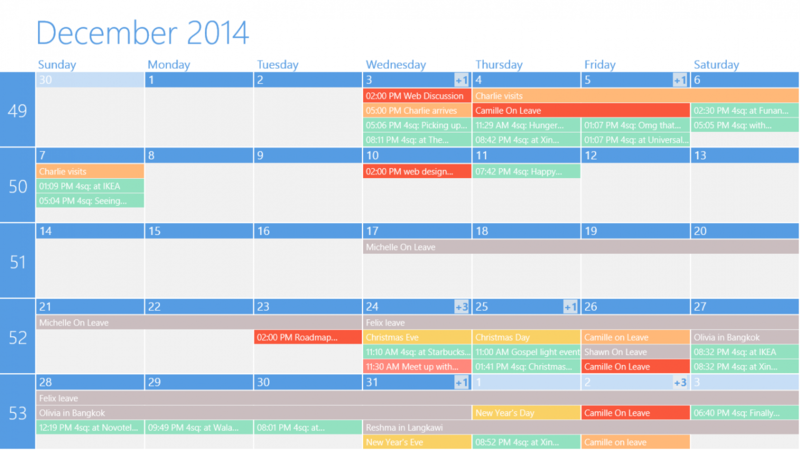 For whatever awkward reason that I can’t add Google calendars to the default Windows 8 calendar app, I was able to sync my personal and work calendars with OneCalendar from the Windows Store. It did everything I needed to do, and best of all — it’s free! The Windows Mail app can add Gmail accounts so I had no problems syncing email. Telegram on the Windows 8 desktop is beautiful. Unfortunately, I couldn’t find it on the Windows Store for the touch version. 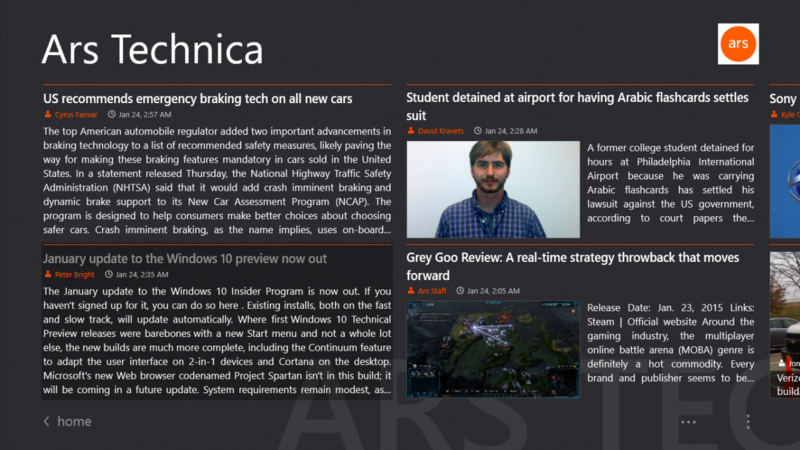 The Windows News app does the same (you can follow other blogs and use it as a reader), but it doesn’t make it easy to add popular sites the way Pulse or News Bento does. Thankfully, 8tracks can also be downloaded from the Windows Store. During the morning or when I’m doing chores, I’d play 8tracks on my Nexus 7. It’s great to be able to switch to playing on the desktop when I’m typing away. Android + Windows: Yay or Nay? The good news is: there are a couple of good (functioning) alternatives and options for me to do casual stuff on my Windows 8.1 boot-camped laptop. Writing, transferring and minimally editing photos for blog posts, gaming, surfing, streaming — these I can do well enough on Windows 8. So yeah, I’ll live. Unfortunately, the Windows Store apps aren’t exactly as exciting as iOS/Mac/Android counterparts for me (i.e. although the Windows 8 Desktop/Tablet will be able to play Windows games, if you end up getting a tablet-only Windows 8 then the gaming library for casual gamers is pretty dismal. None of the really good ones that shine in the App and Play Store). I will still have better apps on my Android tablet if I think of using Windows as a tablet device, and still better apps on iOS if I wanted to compare Windows as a tablet to an iPad. As a desktop OS though, it’s still going to be a must-have for me because of my games. Since I’ll be stuck with it anyway, I can only hope that they fix the desktop (particularly, mouse!) user experience with Windows 10. I’m still looking forward to the new OS and free upgrade, if only for that chance that user experience is gonna get better.